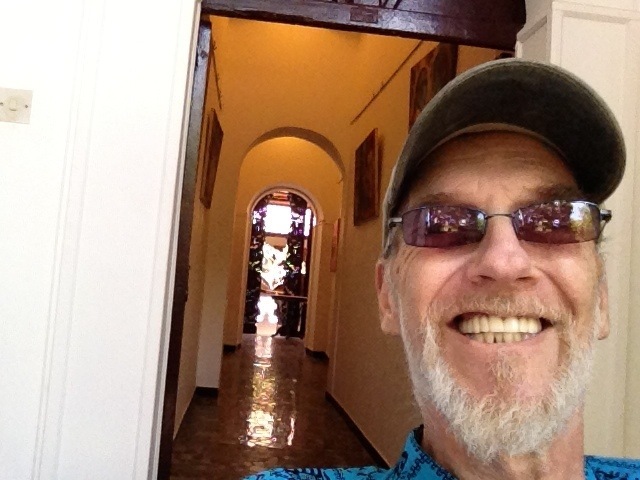 On our outing Friday gallery hopping in goa Scott took along his iPad and captured a happy self portrait as well as one of the many gleaming white Portuguese-era churches in Goa. A thank you shout out to those loved ones sending pics and calling us from High Point. It is the next best thing to being there with all our friends at market. Be sure to check out the Katy Allgeyer Watercolor Collection of rugs for me at AMS Imports while you are at the show. 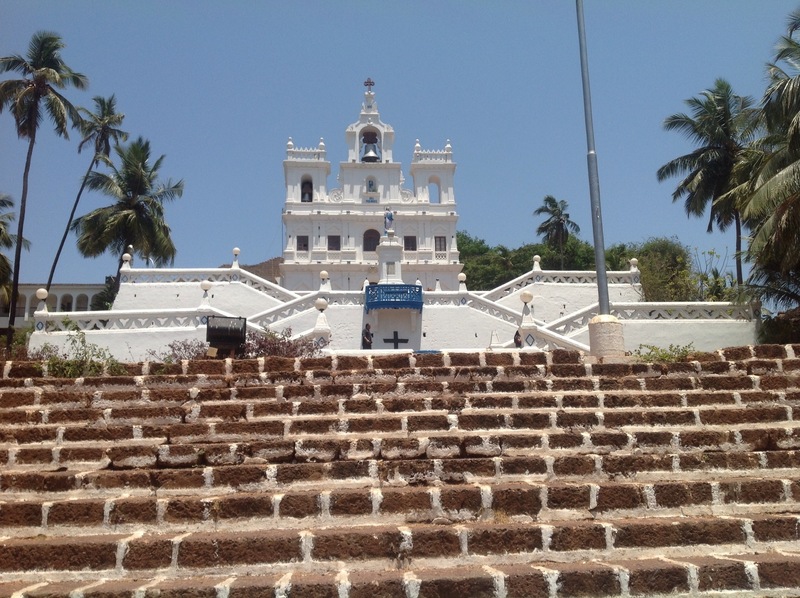 This entry was posted in Uncategorized and tagged churches in goa, gallery gitanjali, Going to Goa Blog, photography, Scott Morgan, travel. Bookmark the permalink. Trying to find your collection. Are they under your own name. Please tell Scott I think his watercolors are beautiful. At the show or on website? AMS Imports showroom at High Point, Katy Allgeyer Watercolor Collection.